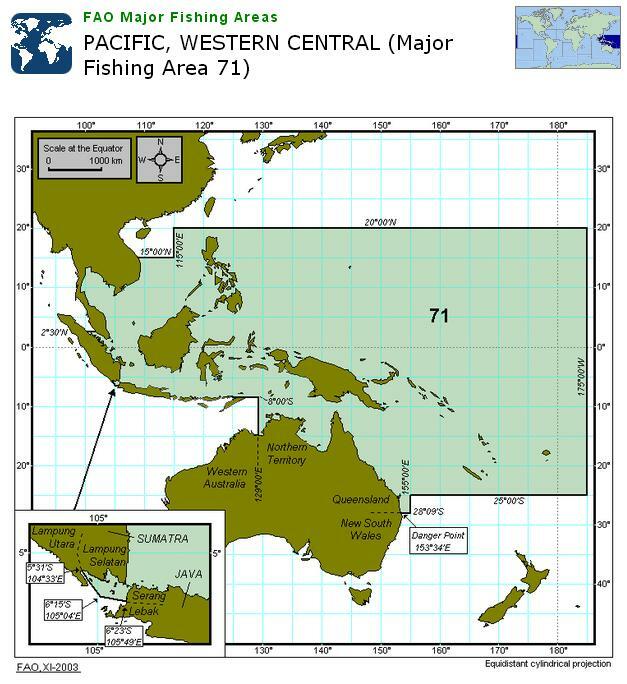 FAO stands for Food and Agricultural Organization of the United Nations. Their goal is to achieve food security, which is accomplished as long as people have regular access to enough high-quality food. They go about this by increasing nutrition levels, agricultural efficiency, rural population living conditions, and the growth of the world economy. 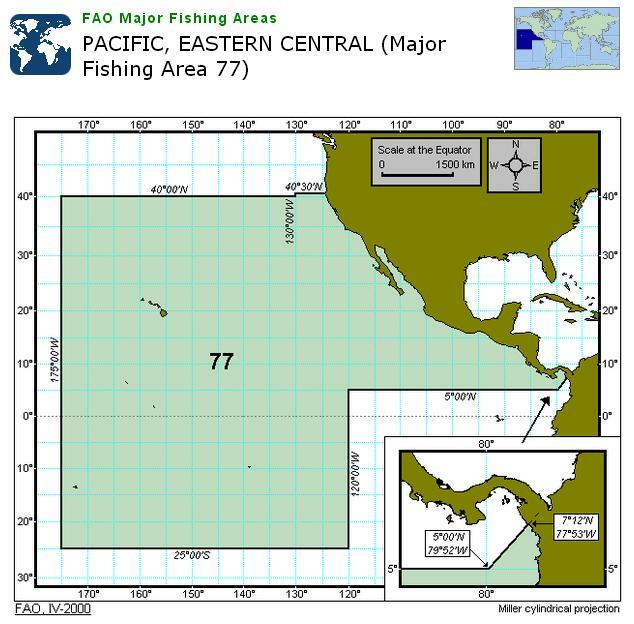 Area 77 is the Pacific, Eastern Central region shown below and area 71 is the Pacific, Western Central region thereafter.